A work injury is serious business. You deserve work injury treatment with personalized professional care. Whether you live in Blaine, Columbia Heights, Mounds View, New Brighton, or any of the surrounding communities, Advanced Health PA is here to guide your recovery. Advanced Health PA offers a wide variety of comprehensive treatment options to address your personal condition and injury. Each patient is unique. Treatment plans based on your individual needs are custom designed to help recovery as quickly as possible. Advanced Health PA stands out because of a broad range of services – all of which are covered by workers’ compensation. Acupuncture helps restore proper electrical energy throughout the body. Therapeutic Massage reduces pain, tightness and stress while improving performance. Personal Training and Rehabilitative Exercise for specific work injury and limitations. Chiropractic decreases muscle and bone painand improves flexibility. Spinal Decompression for disc and nerve pain. Workers may not be aware these natural solutions are covered by workers’ compensation and other forms of insurance. Furthermore, if you miss work due to an injury, your wages are paid and you cannot be fired. 1. If I am injured at work, what should I do? Report all injuries to the supervisor immediately. Do not wait 2-3 weeks to see if you get better. Get professional diagnois and treatment as soon as possible. If unreported, untreated or mistreated, painful lingering physical and legal conditions could result. 2. If injured at work, who covers my health bills? Worker’s Compensation, also known as worker’s comp , is an insurance type mandated by the state to protect people hurt on the job. All employers are required to have this insurance. For more information visit www.mn.us. 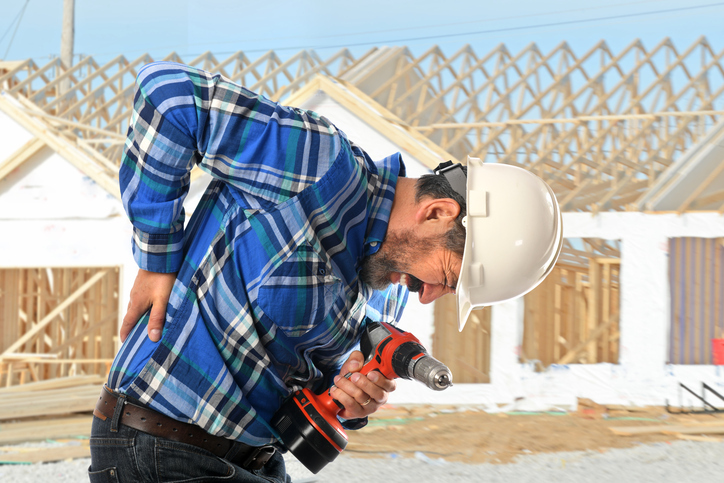 Work injuries should not be submitted to regular insurance. 3. What does Workers Comp cover? It pays 100% of health bills. It will also pay some of lost wages due to missed work. 4. Do I have to see the Company’s doctor or can I choose the doctor? You have the right to choose your own Dr. If requested to see the Company Dr, you must go. However, You have the right to choose your own Dr.
5. If I start treating with a Dr, can another Dr be seen for a 2nd Opinion? Workers Comp does not like patients jumping Dr’s. A referral is required from the 1st Dr to the 2nd Dr. The clinic work’s with medical Dr’s and Imaging Centers (ex MRI) to provide work return as soon as possible. Advanced Health PA specializes in work, auto and sports injury. It is a full-service professional health clinic, club, and store conveniently located in Fridley. Their practitioners have helped patients by utilizing natural drug-free solutions for over 30 years. Dr. Gregg Hebeisen, D.C. is a highly educated and experienced chiropractor, acupuncturist, massage therapist, and personal trainer. Having suffered a sports injury, he understands the importance of comprehensive and personalized treatment. Dr Hebeisen is continually selected as a Best America and Minnesota Chiropractor. Blue Collar work and being a Red Cross instructor and Industrial consultant has given much practical experience. Amy Schmeling is a priceless massage therapist with healing hands and gentle spirit. They have helped countless patients throughout Blaine, Columbia Heights, Mounds View, New Brighton, and beyond recover from work-related injuries and other ailments. Stop suffering from debilitating work injury. Call 763-571-9499 to make your appointment.